Kim is super proud we were able to get all of our clothes and gear picked into our motorcycle luggage for our 10-day trip up the east coast to Maine. Night, our 15-year-old cat, really wanted to come with as demonstrated by him sacking out on our atlas (see pic above). Following an 8-hour journey starting in Media, PA, we arrived at our hotel in Boston at about 5pm. 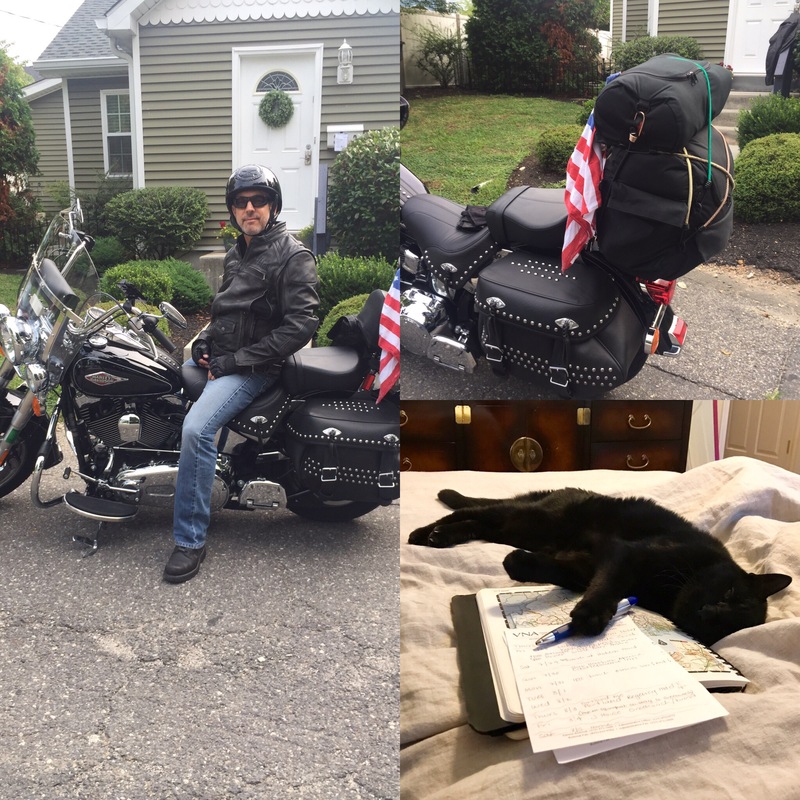 Oh, and we rode about half of the trip in a light to medium rain starting in Connecticut and lasting all the way to Boston. Thankfully we have good rain gear! 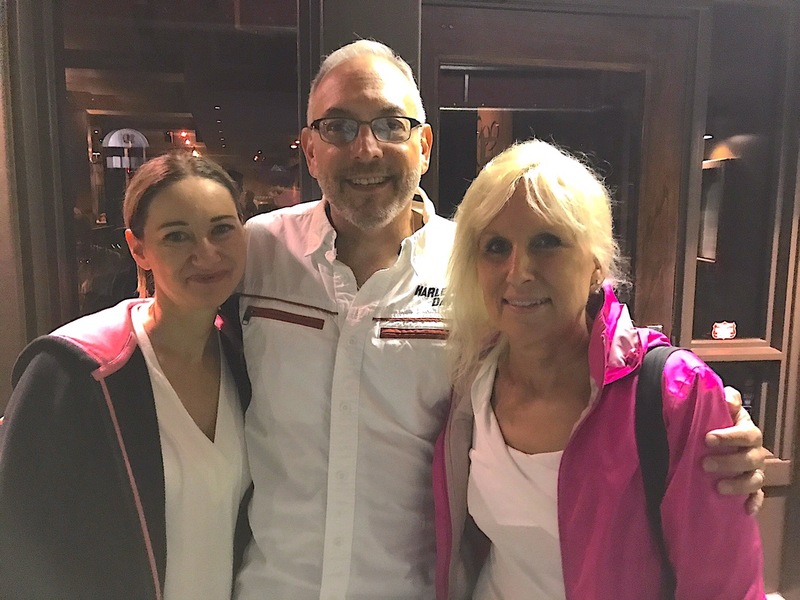 A brief rest and cleaning up is followed by a wonderful dinner with friends, Jennifer and Peter – delicious Boston Italian food! 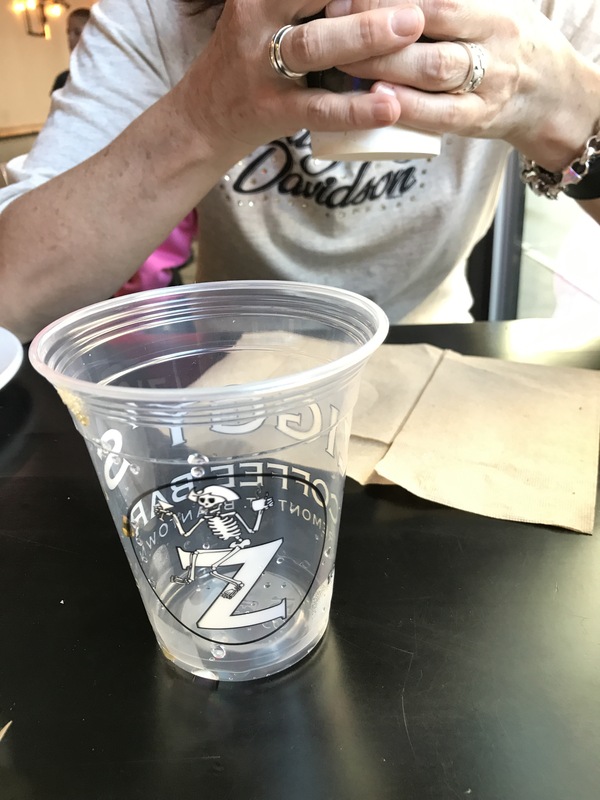 The next morning we grab a quick breakfast at Ziggy’s and then it’s off for a stroll around Boston Commons and Boston Public Gardens. After that, off to Maine! We stopped for lunch in Salisbury, MA at The Deck on the Merrimack River. 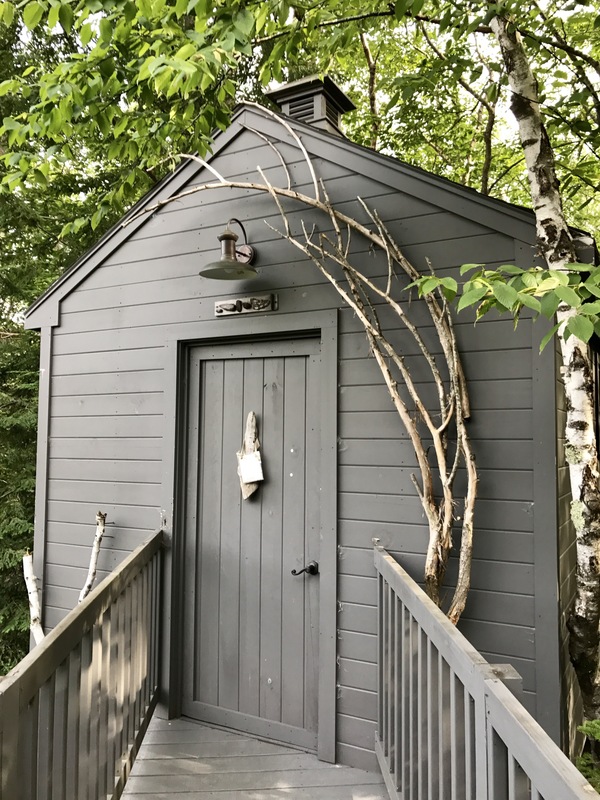 Next stop was Kennebunkport, ME where we arrived in the late afternoon just in time for well-deserved massages at Tree House at Hidden Pond. A private tree house massage room – amazing! The day was capped off with dinner at a wonderful restaurant and a stroll around town. Check back in a day or two for more! This is a teaser post only! Very soon Kim and I will be headed out for an overdue 10th Anniversary trip (this year is actually year 11) up the eastern seaboard on our Harley Davidson Heritage Softail Classic motorcyle. I hope you will check back later for pics and highlights of our trip. It’s going to be a blast! Why give thanks on Thanksgiving? I mean, think about it. Why give thanks on Thanksgiving? OK, sure, it’s a tradition. 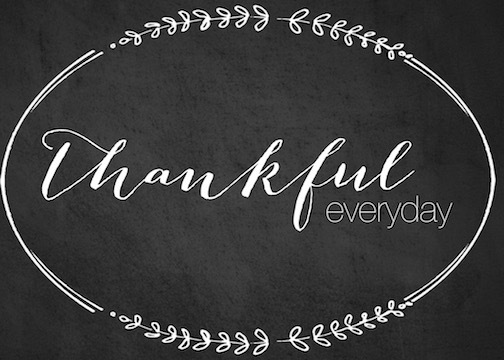 But really, why not give thanks every day…or any day? As I get older and see things through an ever evolving lens, I find myself trying to recognize the good things in my life and in our world, rather than worrying about problems or dwelling on the negative. Now, I would be lying if I said I never worry or dwell on the negative, but I do think that happens for less and less. Each day I try to find a few moments to take inventory, recognize the good and the positives in my life, and to appreciate them. I try to think about my behaviors at work, at home, and when I’m out and about in the world in general. Am I living a life each day that I can feel good about? Am I seeing the good around me and appreciating it? What could I have done differently to make my life, and the lives of those I come in contact with just a little bit better? Have I done anything that I need to address that I might have regrets about later? When I really take time to reflect, and to be thankful, I find that I am thankful for so much. I am thankful for a wife who is my partner and my best friend. I am thankful for our three kids who are all unique and have special gifts to offer. I am thankful for my extended family, even though I don’t see them often. I am thankful for a job that, while sometimes challenging, is so fulfilling that I honestly enjoy going to work every day. I’m thankful for a team of staff that really care about the work they do and help me to be a better leader. I’m thankful for a boss who respects my capabilities and calls me out only when absolutely necessary. I’m thankful for a group of peers that I trust to have my back. I’m thankful for our new home that is just big enough to meet our needs now and is also a lot easier to keep clean than the last place! I’m thankful for our pets because, well, just because they are each an important part of our family. There is more, really, a lot more. So, sure, why not? Let’s keep giving thanks on Thanksgiving. But let us not forget that we can be thankful every day…or any day. Life is short. Enjoy the good. And give thanks. 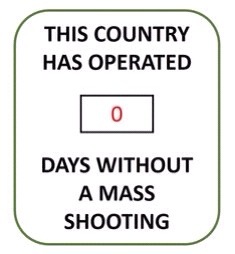 Where can we feel safe today? In our schools? The movie theatre? A military base? A concert hall? A night club? I am not anti-gun or anti-second amendment rights. But I am anti-senseless killing. I am anti-bullheaded, logic-bending, politically-motivated defending of gun rights policies and gun control laws that exacerbate the problem of these senseless, insane and cowardly acts of murder targeting innocent people. I don’t have the answers but I simply wonder HOW and WHEN will the killing end? In my last post I wrote about making changes in our lives and how a pendulum swings from one side to the other until it eventually finds equilibrium – a metaphor for how things go in life situations sometimes. My wife and I find ourselves at a transitional point in our lives entering a new, sometimes scary but mostly exciting phase. 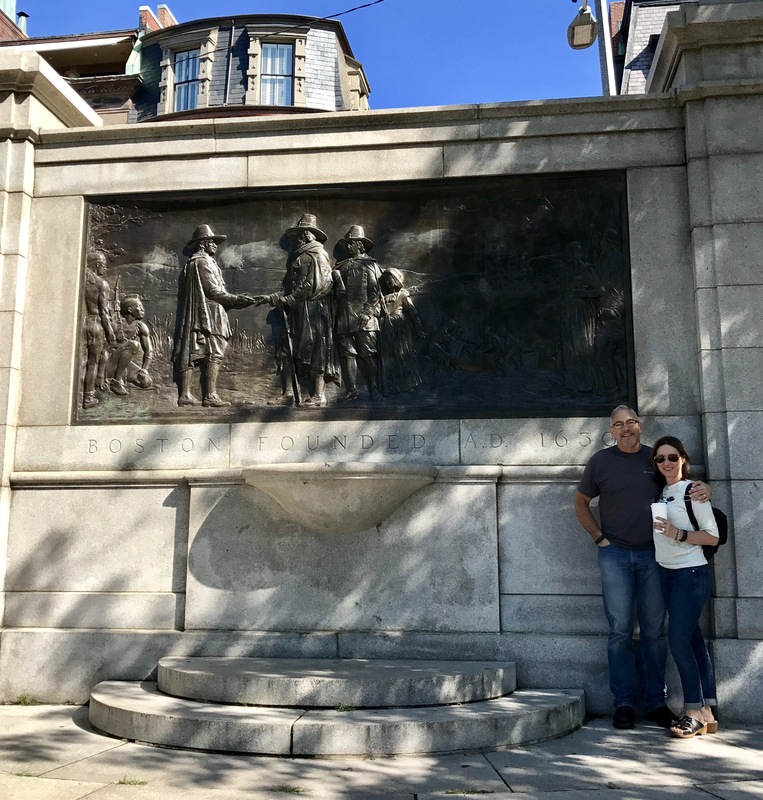 Having been “empty nesters” for almost a year, with our last kid in college now, we’ve been thinking about what we want life ahead to look like and things are starting to happen. The biggest change is downsizing. We are selling the house we’ve lived in with our kids for the last 8 years and buying a much smaller house nearby. A little history. We first met in 2005, got married and blended two single-parent families in 2006. For the first two years of our lives together we lived in my wife’s small, 3 bedroom, 1 bathroom house. We ended up putting an addition on the house with a master bathroom, in order to make it work when the three boys were with us, which was every other weekend and one or two nights during the week. In 2008 that house inevitably became too small for us because the kids were growing up and getting bigger and the house just gradually seemed smaller and smaller. We made a move to a nearby 5 bedroom, 2.5 bath house. To fill and outfit this new and bigger house, of course we had to buy more furniture. We fixed up the backyard to have two separate entertaining areas. That meant we needed furniture out there too. We bought exercise equipment for the inside to have our own mini-gym at home. Because we had a much larger driveway and front walk, eventually I needed a snowblower. You get the idea – a period of building and acquiring. So here we are, about two months away from back-to-back settlements, selling our big, 5 bedroom house in exchange for a small and quaint 2 bedroom house with virtually no yard and no driveway or walkway to remove snow from. Yup we have a lot of stuff to get rid of – a lot! But this post isn’t really about acquiring and purging. 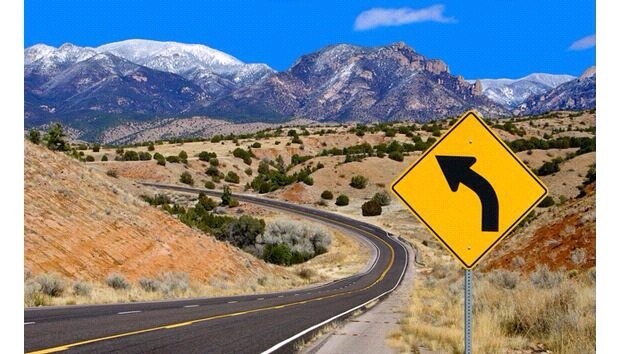 It’s more about how it feels to be turning this corner in the direction of the next phase in our lives. Frankly, it’s a mixed bag of feelings. I feel a little sad about leaving this house where so many fun (and difficult) things happened – basketball in the driveway, bonfires and graduation parties in the back yard, movie and pizza nights, struggling alongside the kids with their massive amounts of homework, SAT test preparation, etc. Because I lost my job during the recession in 2008, I had to work with the bank to not lose this house. I feel pride in accomplishing that, so leaving here makes me feel a sense of real loss for something I fought so hard to keep. I do, however, also feel excited to move into a home better suited to what life looks like today and tomorrow. And, if I’m being really honest, I feel a little odd about being in this stage of life – 55 years-old focusing on both my career and retirement planning all at the same time while moving into a house designed mostly for just the two of us, not the five of us. Selling and buying homes this time around has not been easy. Tons of details, inspections and remediation, appraisals and mortgage applications, long nights and frustrating days. I’ve described it to some of my friends as a roller coaster ride. The highs have been really high and the lows have been pretty low. I’m ready for the end of the ride and for things to just settle down some. The good news is I think I can actually see the light at the end of the tunnel! Despite this range of emotions, I think I am now ready to turn the corner and see what the road ahead looks like for the next phase of our journey. I look forward to seeing some of you along the way. When I started blogging in November of last year, my goal, with the best of all intentions, was to blog weekly. Well, someone said some road was “paved with good intentions.” I like to think I am not on that road! I’ve learned, without too much judgement, that there are patterns in life, and that the pendulum swings all the way one direction, then most of the back to the other direction, and eventually, it finds something like equilibrium. I was doing great in November and December, and then…it swung the other way.Here we are, in the beginning of April, finding, I hope, some equilibrium. This got me thinking about patterns. A lot of people have New Year’s resolutions. I’ve never been a big fan thinking that they are generally doomed to be broken. I don’t fault anyone from having them – they’re just not for me. I do, from time to time, pick pivotal points in time to make changes. Patterns can be very effective in some areas of my life, while “disruption” (yes, I know it’s a buzzword these days, especially as a management style, and apparently in politics now too) also has it’s place in other areas. I’ve come to learn that I should not get too comfortable to remain open to suggestions, new ideas, and to switching things up from time to time. My life journey has shown me that change can be difficult, yet necessary and transformational. I don’t want to get too deep so I’ll wrap it up with this. I’ll leave it for you to consider how your patterns look and what pendulums are swinging in your life. Are any changes in your life’s patterns in order? Feel free to share comments – I really enjoy others’ perspectives.